Beauty shows up in many forms. 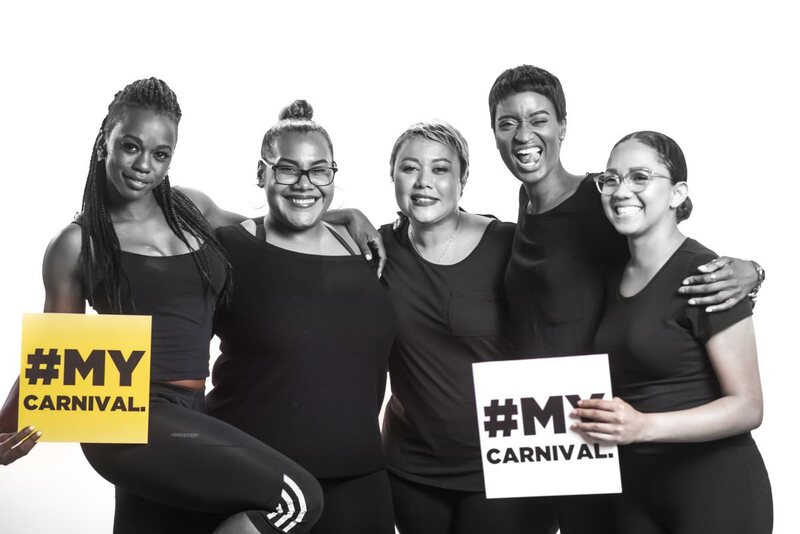 THE Lost Tribe has launched a body-positive campaign which it says promotes inclusion and appreciation for the vast differences among the people who will be onstage for Carnival 2019. The differences include people of varying creed, race, colour, class, gender and sexual orientation. The body-positivity movement is connected to the belief that everyone should have positive thoughts and attitudes to their own body image while being accepting of the bodies of others. 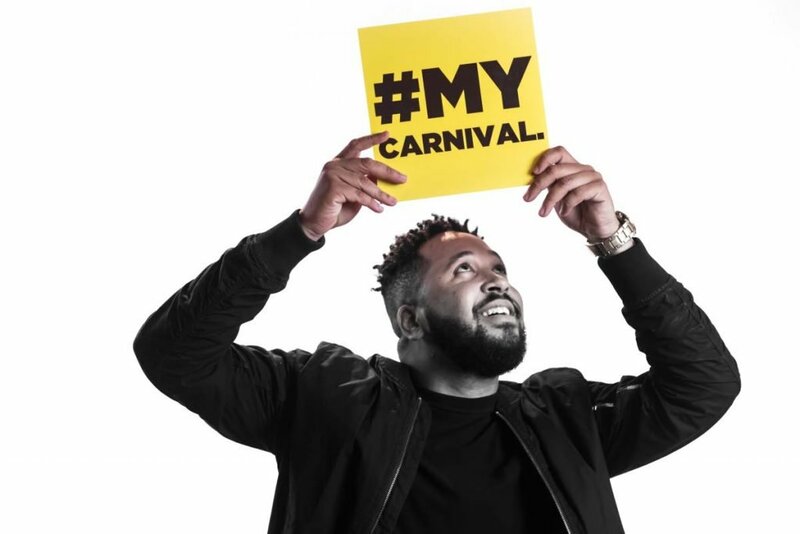 The #MYCarnival campaign, which was unveiled on January 24, creates a platform to jump-start the conversation which the band says has grown around issues of inclusion in Carnival and mas. Creative director of The Lost Tribe Valmiki Maharaj said, "For so many people, Carnival is this magical time of year where you can finally break free from the insecurities that plague you the other 363 days of the year. For two days, none of that matters." He said on the two days of mas, people step out and put on a show regardless of their body type, skin colour or any other defining physical feature. Every colour and all shapes are beautiful. So the band is calling on Carnival lovers to share their stories of how the experience of Carnival has made them feel empowered and confident by posting their favourite photo from the road, along with a testimonial. Masqueraders are also asked to add the hashtag #MYCarnival and tag @LostTribeCarnival on Instagram. Those who want to participate but do not have an Instagram account can send their photo and story to info@losttribecarnival.com. The Lost Tribe said apart from the visual aspect of the campaign, which will be broadcast across the band's social media pages, another element of the campaign is the annual styling event, The Look, where notable body-positive makeup artists, hairstylists and outfitters showcase their talents while guiding masqueraders with tips and ideas on how they may amplify their unique beautiful traits to look their best on the road. The Look will take place on February 13 at a location to be announced. The worldwide phenomenon of young people saying they feel pressured to meet physical ideals based on images promoted through social media continues to spread. TT and the region are no exception. An indication of this may be the increased numbers in gym memberships and people seen running around the Queen's Park Savannah, Port of Spain, during the Carnival season. In a Newsday article dated August 18, 2018, entitled, Social media makes me feel ugly, respondents mostly between 22 and 35 said they experience some amount of discomfort or feelings of shame and inadequacy regarding their bodies. This, they said, happens when they compare themselves to the bodies promoted as ideal on social media. One male respondent said, "Social media has diminished my self-esteem and has made me rely too heavily on others for validation. I’m fine with who I see in the mirror most days but when I try to present that image to the world on social media I get overly cautious and hypercritical of my appearance. Social media makes me feel ugly." #MyCarnival campaign invites masqueraders to share what carnival means to them. On January 4, UK Guardian health policy editor Denis Campbell published an article titled: Depression in girls linked to higher use of social media, which explored the impact of social media on girls. He wrote, "Girls’ much-higher rate of depression than boys is closely linked to the greater time they spend on social media, and online bullying and poor sleep...As many as three-quarters of 14-year-old girls who suffer from depression also have low self-esteem and are unhappy with how they look." 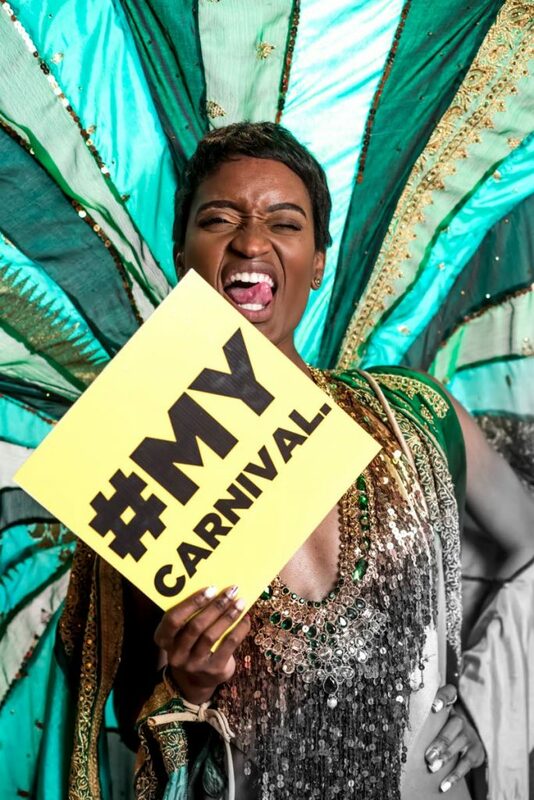 The band's Charissa Modeste said, "I hope the #MYCarnival campaign will help people to become more conscious of the imagery associated with TT Carnival that we now accept as the standard. I hope we will reflect on how it came to be this way, and what other possibilities exist." She said whether someone is closely aligned with that standard or not, he or she can benefit from exploring other expressions of human form while embracing their uniqueness. "That is what #MYCarnival is about. What makes it the absolute greatest is the constant innovation and ability to look at the same festival with fresh eyes time and time again." Modeste said social media invite people to consume high volumes of imagery. Much of it is inspiring, but some also result in comparisons, which affect self-esteem negatively. The power of social media, she said, is that it also makes the space for change by promoting ideas and imagery that would otherwise not be widely seen as the ideal concept of beauty. "There has never been a time in human history where random individuals have the power to determine what’s cool and what’s beautiful simply by sharing their unique vision. Mainstream outlets and corporate entities now desperately look to us to determine what’s cool and what’s beautiful – not the other way around. We decide!" 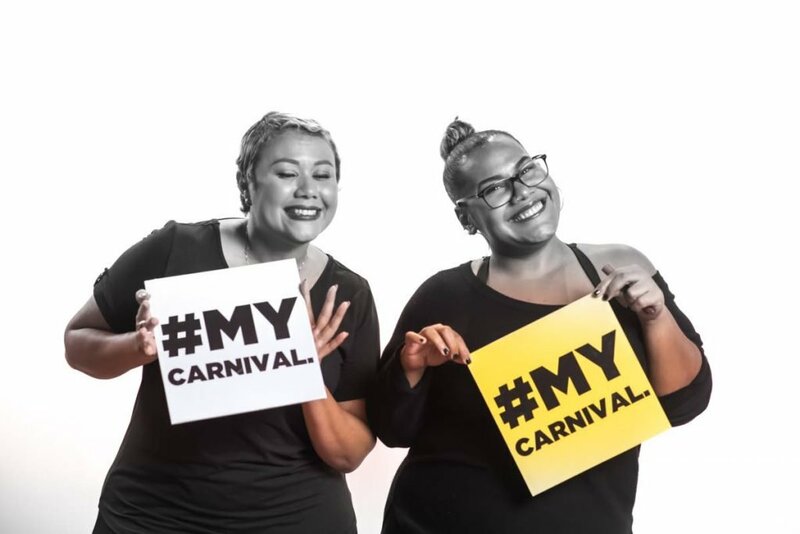 Lost Tribe's #MyCarnival campaign promotes appreciation for differences while basking in similarities. Committee member Kern Mollineau said the campaign is subtly touching on a narrative that interconnects all human beings. In a time when there are more platforms to express voices and share opinions, he said, nevertheless people tend to hide behind or lean towards popular opinion. "This Carnival campaign specifically deals with the individual, giving them a space to express what it specifically means to them." He said more often than not, what may be intriguing, inspiring and embody love is found by appreciating similarities. This, he said, is possible in spite of differences in backgrounds, appearances, education, culture, sexual orientation or opinions. "As much as Carnival belongs to me, it belongs to you – it is all of ours, much like we operate in a world together. There’s no exclusivity. If we approach life with the same vigour and understanding that we show during this season, we may be better for it as a whole." The band is one of few to feature a plus-sized model: businesswoman Sonja Pollonais, who is also a Lost Tribe committee member, modelled a section leader costume in the band's 2019 presentation Taj at the Tribe Band launch last July. Maharaj said the band intends to continue the campaign and messaging beyond the 2019 Carnival season and new initiatives will be announced in the coming months. Reply to "Lost Tribe launches body-positive campaign"